Have you always wondered about ways to make your bathroom look more dramatic without having to spend too much on the refurbishment? Well, tiles are the key to glory! 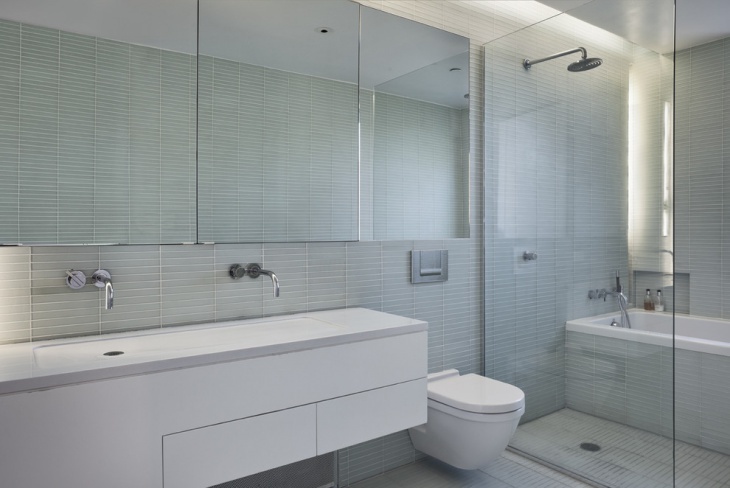 Available in a wide variety of materials, sizes, textures, colors, patterns, finishes, shapes and budget ranges, the right choice of bathroom shower tiles can bring in a complete transformation of look in the space. Further, tiling can also be a great way to create a separate space within the same room. Here are some examples that should explain more. 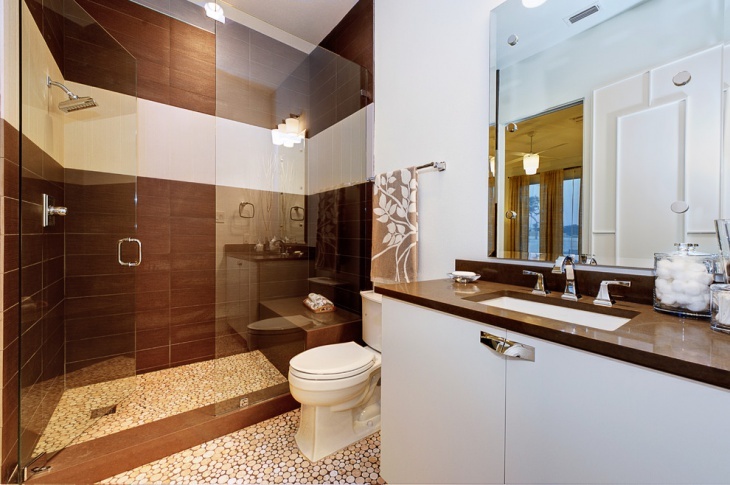 If you have opted for a glass shower, it is very important that you define the bathing space somehow. For guests, it would be naturally hard to understand the layout if you are going for a unique theme throughout. Tiling would be the best way to meet this need and also add definition and personality to the space, minimizing the risks of the unknown. 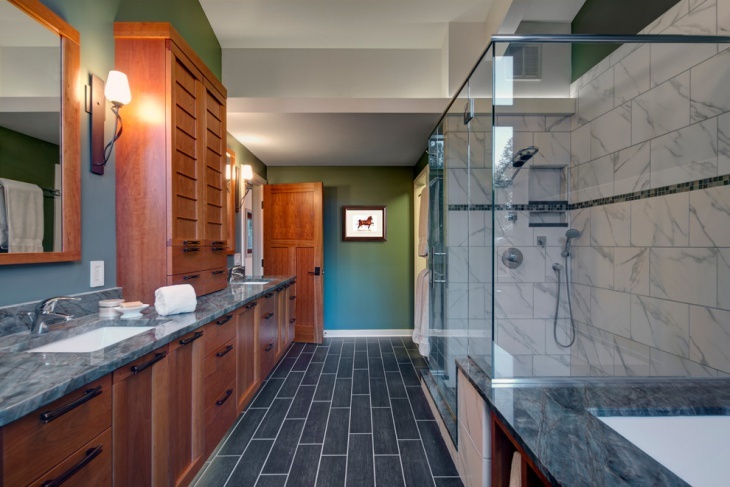 Shower backsplashes can be both of visual and functional elements in any bathroom. Using tiles for the features will add to the safety and necessary texture to be integrated into the space. The advantage is that they come in several varieties of color and textures. 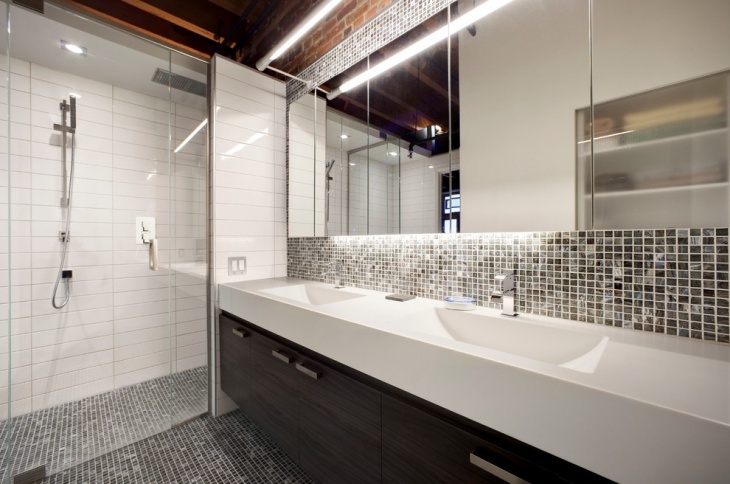 White tiles showers, as shown in this example looks really contemporary and cool. Using minimal and contrasting accessories will rightly liven up the design. 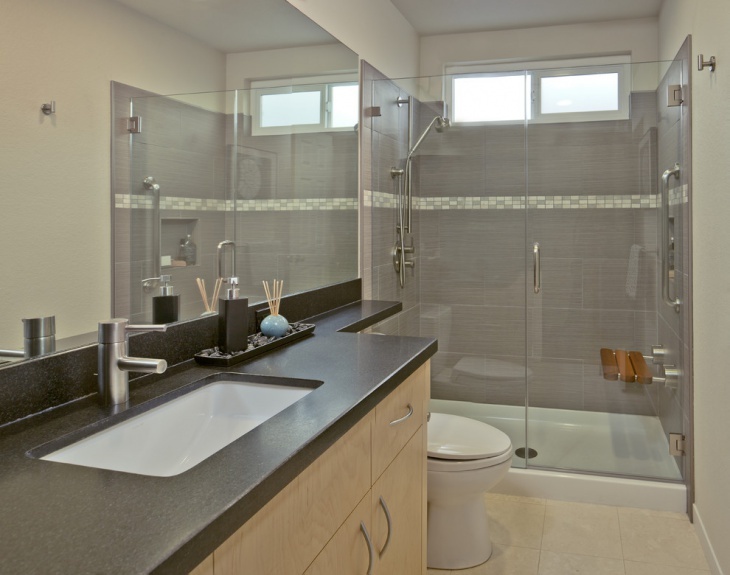 For the shower space, you can use a slightly tinted glass to make it more visible and safe. Ceramic wall tiles can create a really sophisticated looking effect in your bathroom interiors. They come with a natural texture that cannot be rivaled by any other material. Using wood, warm lighting and other rustic additions to the theme, you can create a really unique space. 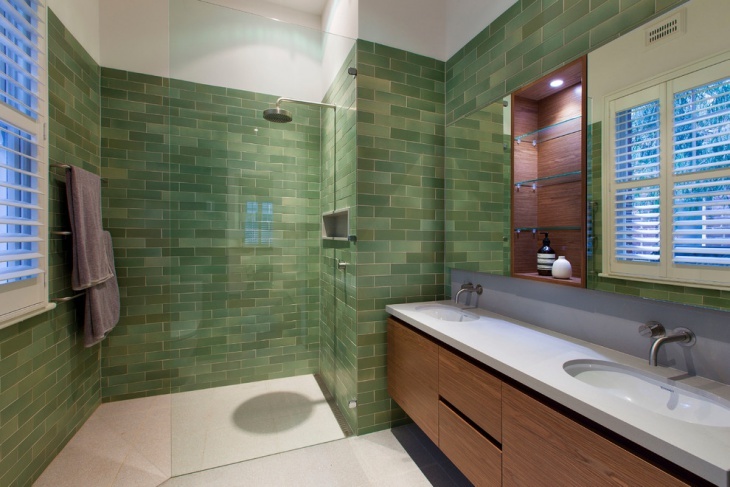 Again, shower tiles don’t just add visual personality to the space but also acts to define the layout. 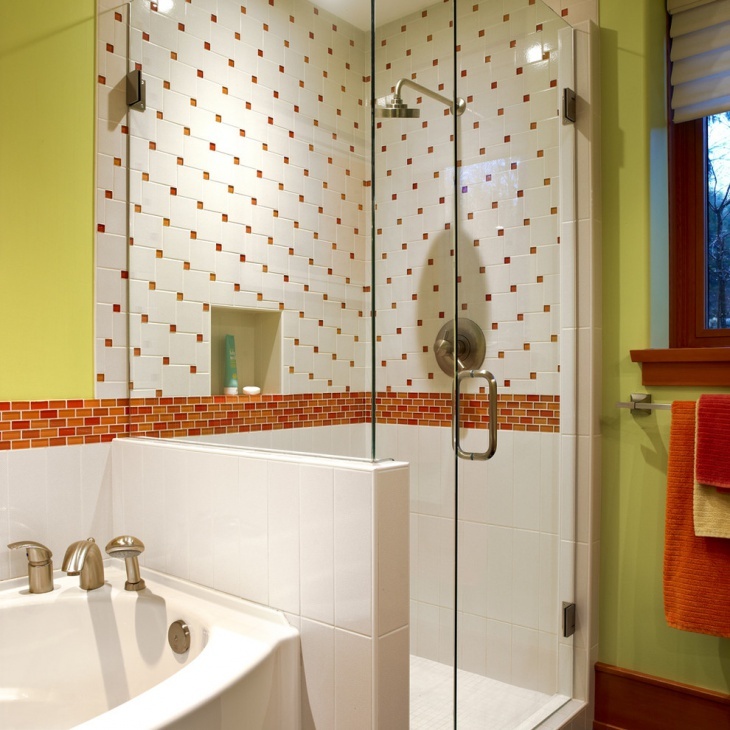 For a guest, a glass shower can be a surprise and you would never want accidents in your bathroom! 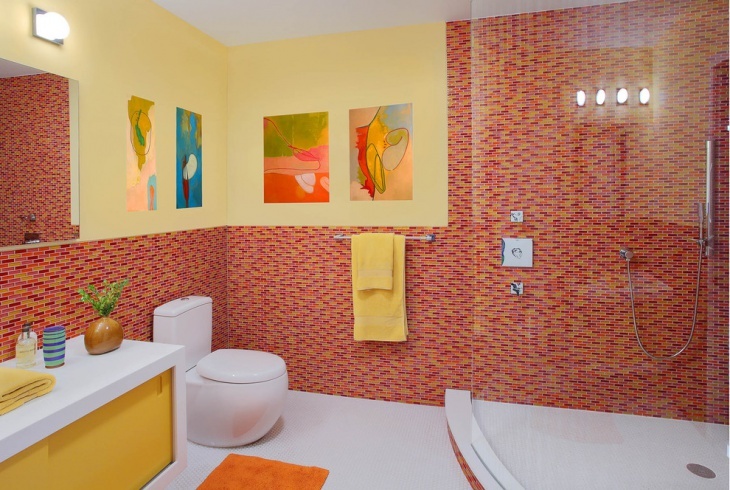 Using different colored tiles for the shower space thus becomes a mandatory choice. 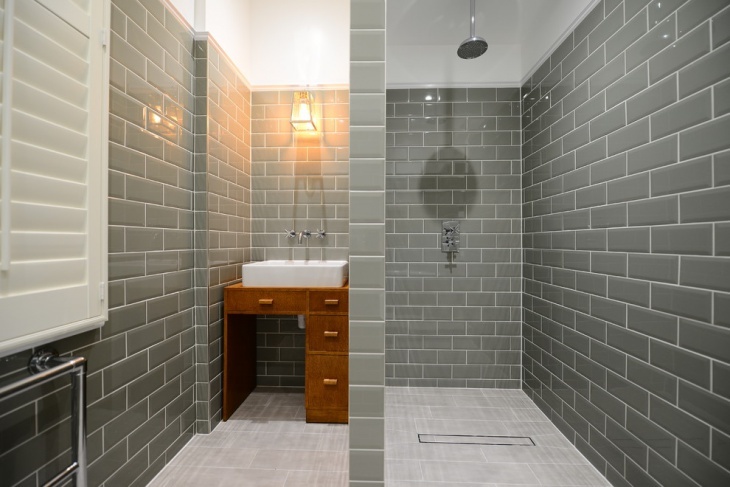 A shower room can be as exciting as you make it! 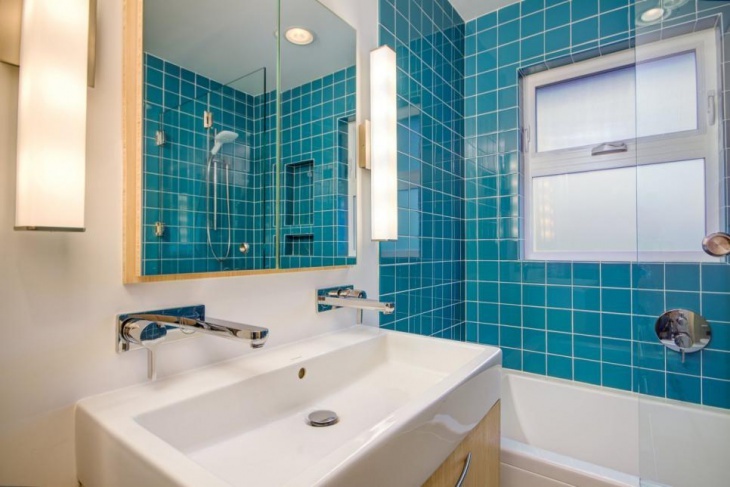 Even in a small space, as shown in the example, you can create a unique corner for cleanliness and pleasure! 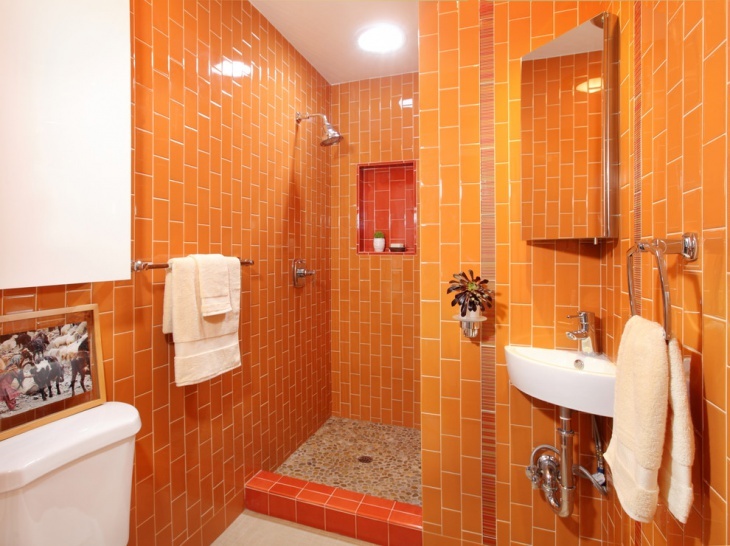 Using the right kind of tiles, you ensure that the design is understandable you don’t get surprises. 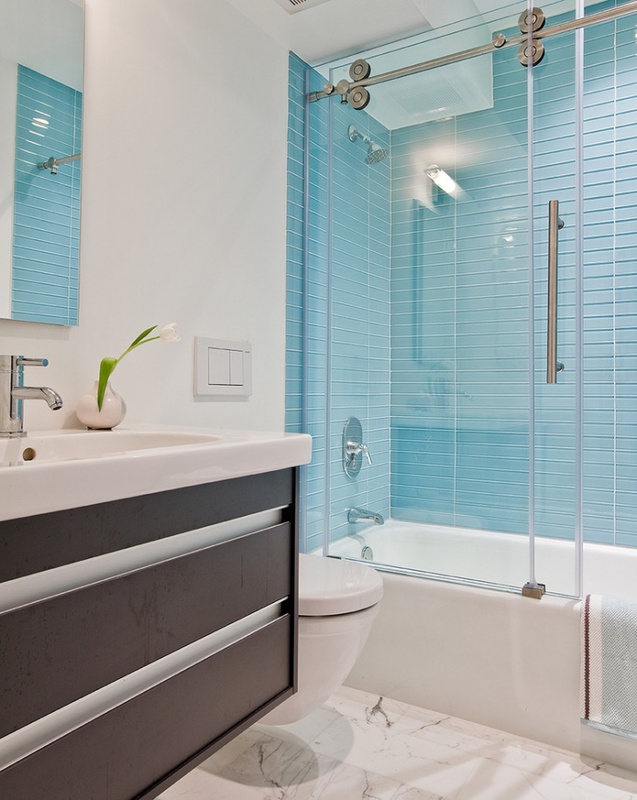 Small, narrow and horizontal blue tiles can be an impressive way to compliment your white contemporary bathroom scheme. 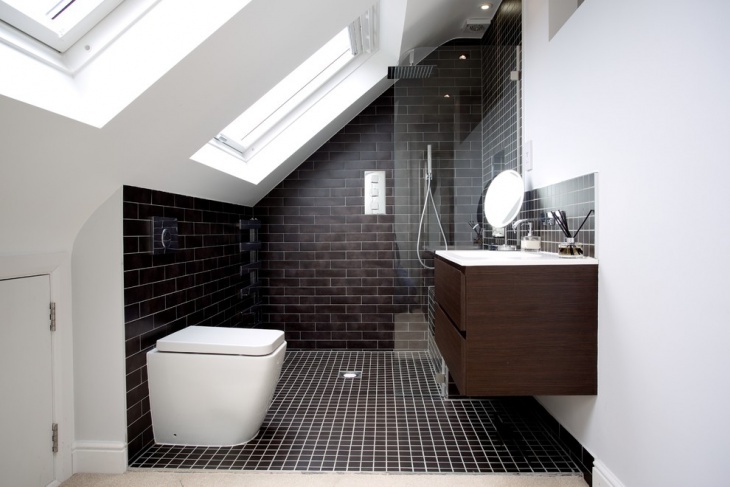 A darker theme for a bathroom space, the room is defined by the using of lighting here. 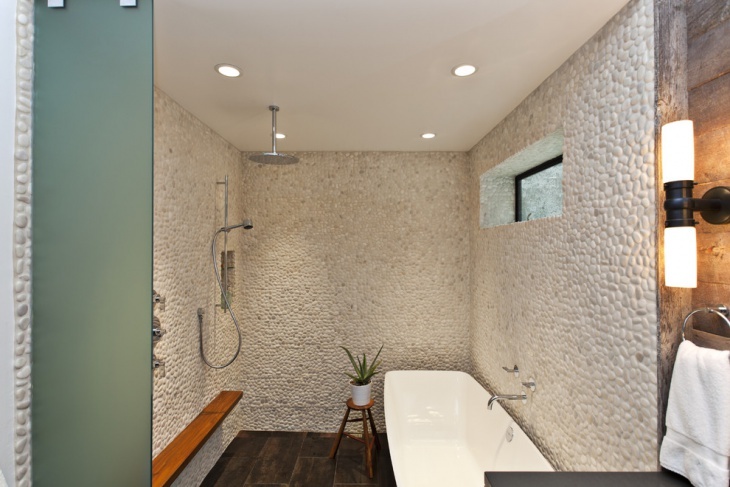 The space looks really gorgeous but it is really the bathroom shower wall designs that make the difference. 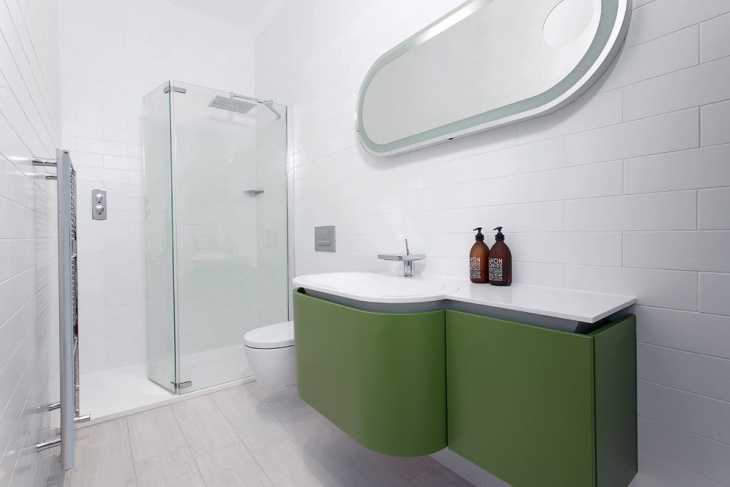 Bathroom spaces are meant to be cozy, convenient, safe, bright and dynamic. Depending upon your lifestyle and décor choices, you can opt for a range of tiling alternatives. We hope that the examples above have been able to present the basic visual cues with shower tiling. Do leave a feedback on any other ideas that you may have.